Ya Jagoff!!! 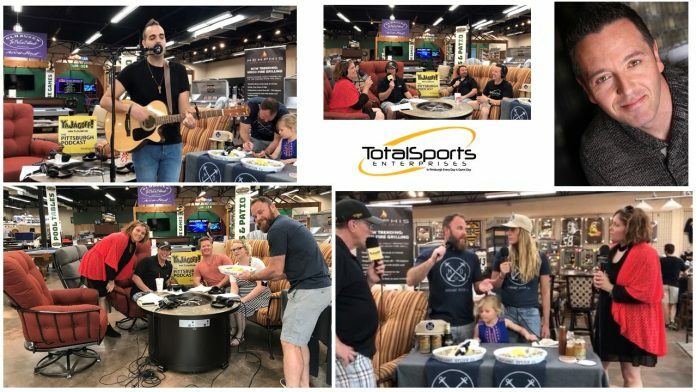 | #YaJagoff Podcast / Cinco De Mayo Gabbing, Grubbing and Giving! Home YaJagoff Podcast #YaJagoff Podcast / Cinco De Mayo Gabbing, Grubbing and Giving! Summary: Breaking! Internationally known psychic medium, John Edward is coming to Pittsburgh. Here is part 1 of our interview with him! And Cinco De Mayo brought Chandler from Ole Smokey for his last hoorah to raise money for his Man Of The Year quest through LLS, Mark Togni, contestant from Master Chef, Oyster shucking with Dennis and Jess, some bowling for rhinos discussion with Sarah and a little crooning that will be heard at the Millvale Music Fest thanks to Nick Barilla. All of this to celebrate the opening of TSE McMurray at West Penn Billiards! If you don’t see the Play Bar above in your email, click the one below to listen while you work, rest, walk the dog or sulk about the Penguins loss. Episode Music: Nick Barilla Nick will be performing, May 12th, at the Millvale Music Festival, Howard’s Pub stage, 6:30pm. Go buy his songs and go watch him live on May 12th. 26:29 Rhino Bowling – Sarah Shannon, VP of the American Association of Zoo Keepers and Mark Togni – Master Chef, Season 8 Villain talk about Sarah’s Rhino facts, in fact she declares Cinco De Mayo Cinco De Rhino, plus discusses her Bowling event, June 16th Mark talks about his recipe for Cinco De Mayo since time is always a factor and he finds recipes that can be done in 15 minutes! 1:04:00 Nick Barilla and Chandler Carranza briefly discuss Nick’s single life, but Nick chats up his influences in music and passion to help others in the industry. Chandler stops by one last time to promote his Man of The Year quest for the Leukemia and Lymphoma Society.